Nobody really knows how pizzas came to be, although one tale tells that Roman soldiers took to cooking bread spread in flat circles on their shields. Another story says pizza began as flat bread served up in Naples. Either way, pizza is as Italian as pasta and Ferraris! 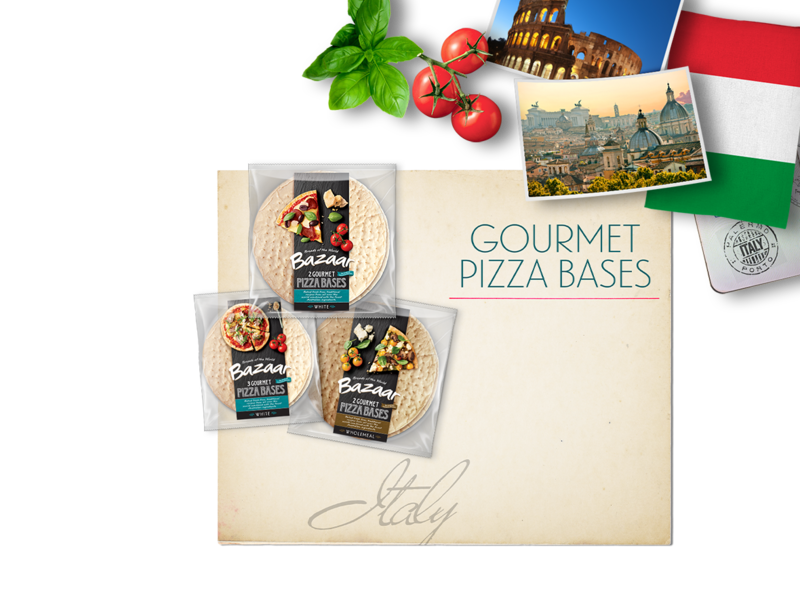 Making an authentic Italian-style pizza with Bazaar® Gourmet Pizza Bases is a easy as adding some tomato paste, mozzarella cheese and some salami or ham. Quick, easy and tasty!